An ariel view of the center and research fields. 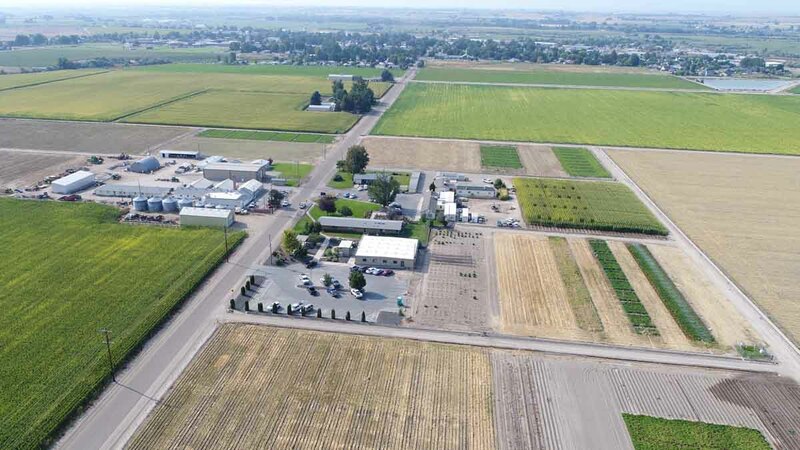 The Parma Research and Extension Center conducts research and extension programs related to production, storage and related problems of vegetable, forages, cereals, fruit, field, seed and specialty crop produced in southwest Idaho. Learn about the benefits of insects and pest management. Learn about potato, sugar beet and fruit tree nematodes. Learn about the control of diseases of seed crops, onion, potato and fruit crops. Learn about the management practices to reduce disease and disorders of potatoes and onions. Learn about the environmental problems and challenges facing Idaho fruit growers. Learn about nutrient management and soil fertility.